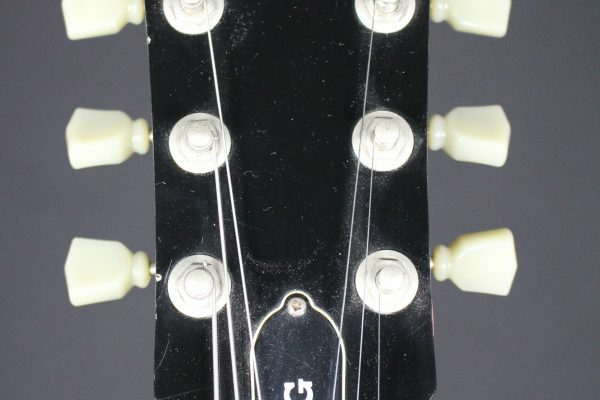 SKU: 356. 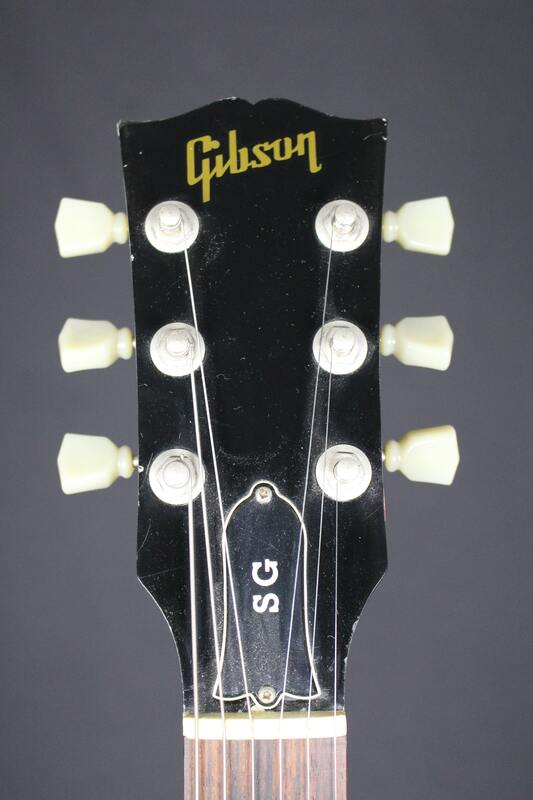 Categories: Electric Guitars, Gibson. 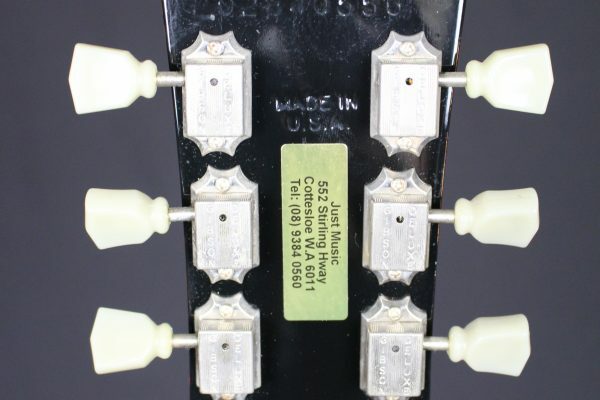 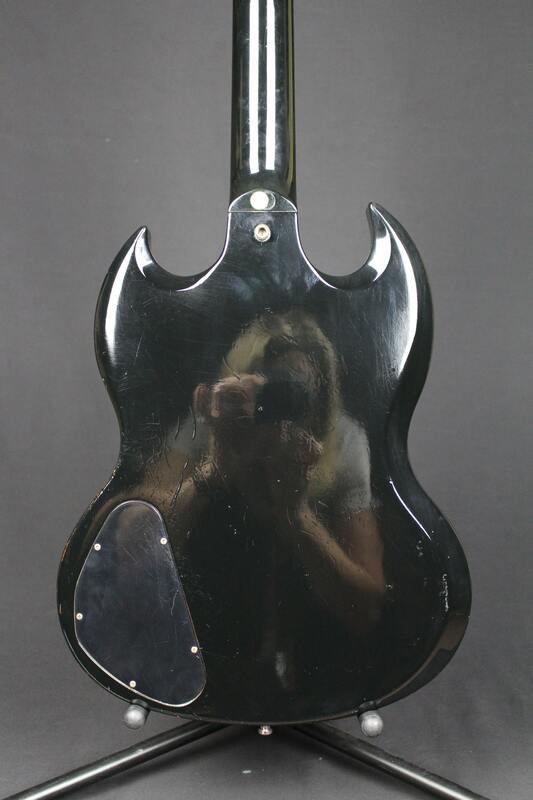 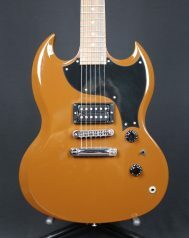 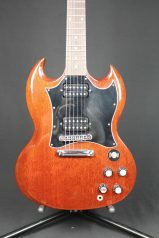 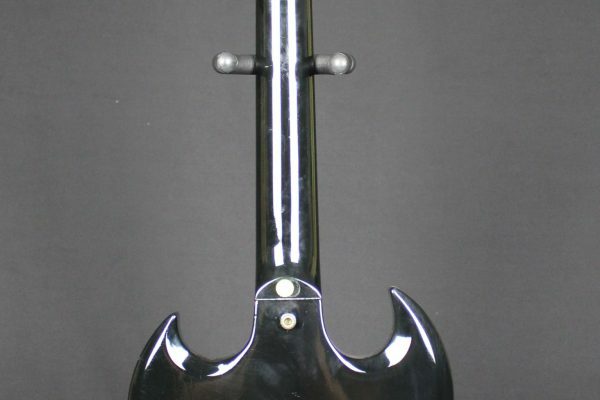 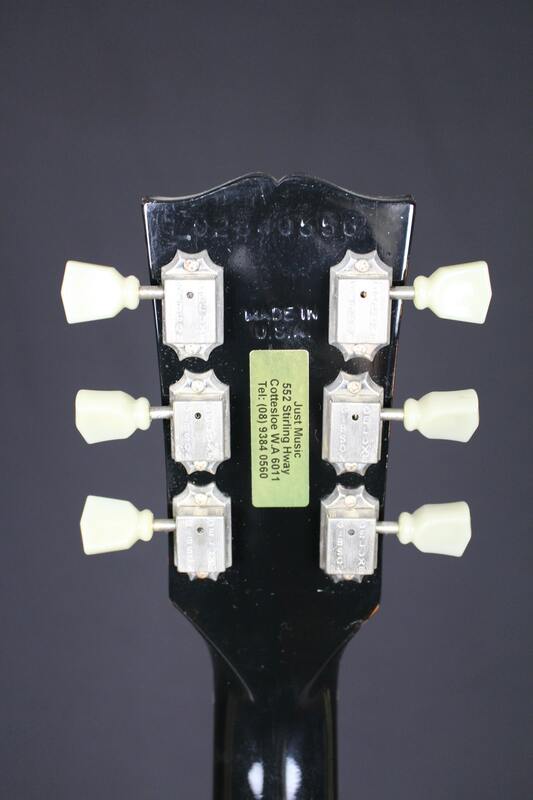 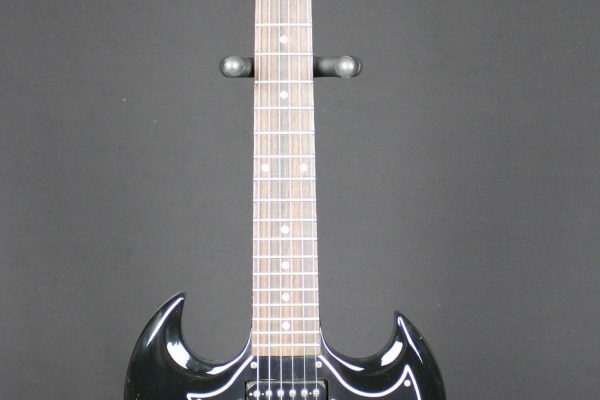 Tags: electric, gibson, SG, U.S.A.
A year 2000 SG Special in ebony gloss. 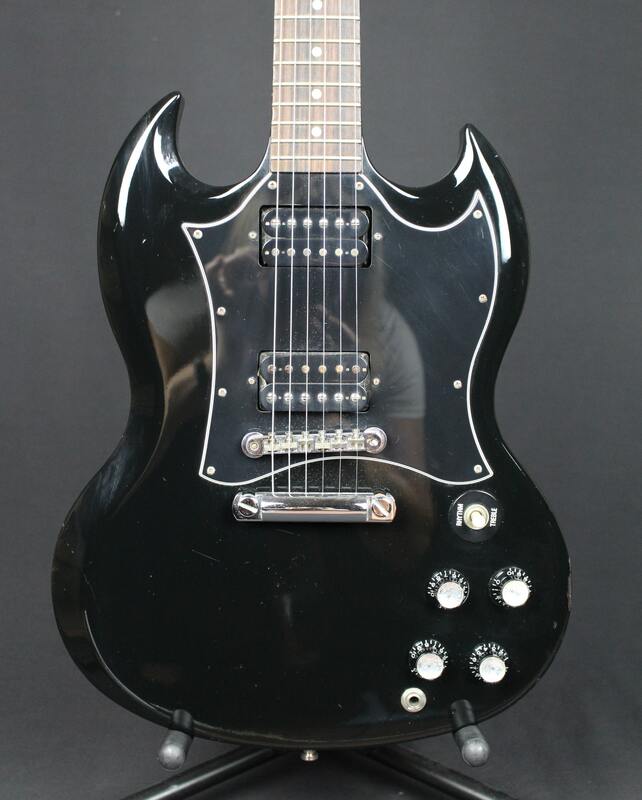 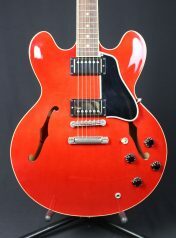 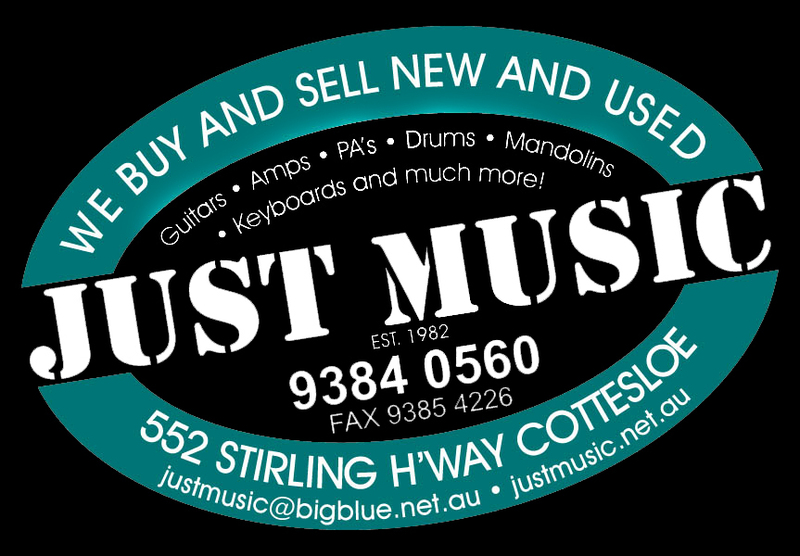 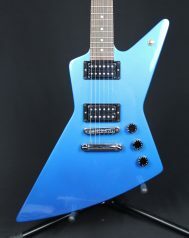 Features a black pickguard, medium frets, 2 humbuckers, 3 way switch, Kluson style tuners, stop tail tune-o-matic bridge and is in very good condition. 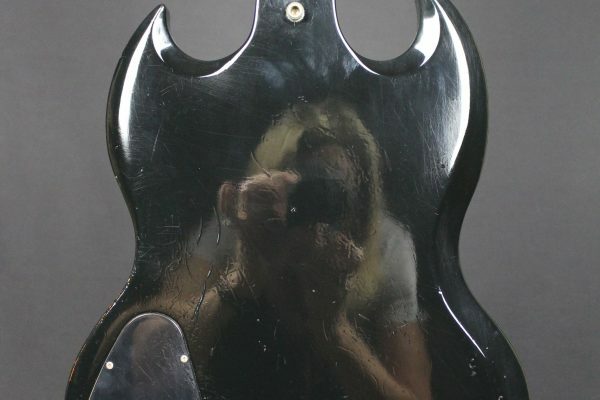 There’s a bit of buckle rash/buckle dent on the rear.